Given its rough seasons and unpredictable weather, one may not think of Boston as being capable of locally sourcing itself all year round. However, a visit to this fair city proves the contrary. 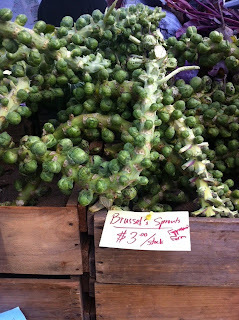 On my last trip to the great Northeast, I found that Beantown serves up plenty of home-grown fare. Boston’s proximity to the water allows access to amazing fish and seafood- most notably awesome meaty oysters- the best I’ve ever had. 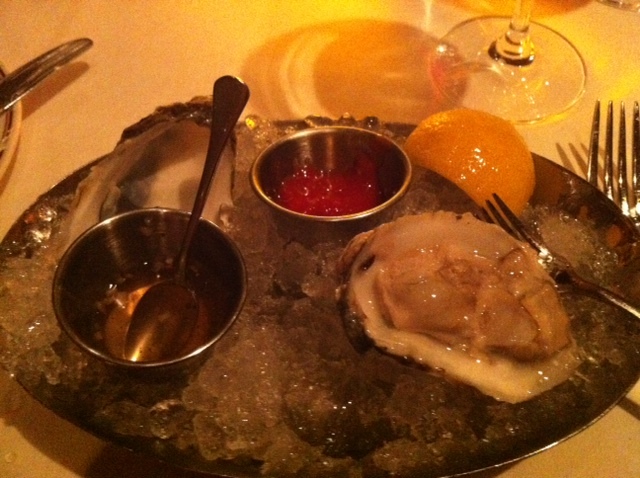 An acquired taste, Paris primed my appetite for this slimy delicacy, but Boston solidified my love of this magnificent mollusk. Eastern Standard (528 Commonwealth Avenue), which should not be missed for its cocktails and all around exceptional meals featuringlocal ingredients, serves up standardly priced (2.50 /ea) oysters sourced from nearby Barnstable. Paired with a white wine chosen from the extensive wine list, you’ve got a great start to what promises to be an excellent dinner out. Ifdrinking at home is more your thing, you can stock up your personal cave à vin at the Wine Bottega (341 Hanover Street), a wine shop specializing in biodynamic and natural wines. I was excited to speak with the Frenchman manning the cash register when I visited the store, but my mood was further buoyed by the bottles stocked by the Bottega which included selections of European alcohols not often drunk this side of the pond- like artisinal Poiré from Normandy and Italian Lambrusco. 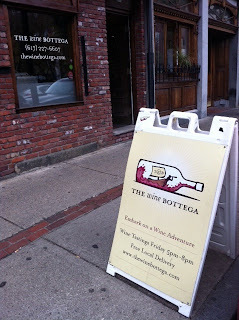 If you’re interested in finding out more and planning on being in Boston, I recommend you check out the Wine Bottega’s website, where you’ll find their schedule of events and can choose a tasting you’d like to attend. Locals can even sign up with the store to participate in their “Farm to Glass” program and receive 6 or 12 bottles of organic, biodynamic, and natural wines delivered to your door. My trip to Boston was both for business and pleasure, with the wedding planning involved straddling the divide between these two distinctions. One order of planning business that quickly became classified as pleasurable was my tasting with the caters Season to Taste. Full-on food activists, the staff of Season to Taste takes local to the extreme- proposing ever-changing seasonal menus that are entirely sourced by local farms and fisheries. Every product on their menu is locally grown, pasture fed or line caught, and native to the region. Our private tasting with Chef Sam was an absolute delight and brought us on a tour of the treasures of the Northwest, with seafood including fresh striped sea bass, crab cakes, and oysters. Autumnal vegetables held their own against the proteins, with the fennel, snow peas, mushrooms, and fresh herbs making an argument for visiting the farmer’s market the next day (I spotted two great Farmer’s Markets during my visit- both on Saturdays, in Jamaica Plain and the other right on Copley Square). Chef Sam ended the meal with chocolate truffles he had whipped up that afternoon and then sent us each home with a jar of homemade strawberry jam, a souvenir to keep until we meet again in August for the nuptial meal. Me and my sister certainly felt at home in the cosy and just-the-right-amount crowded restaurant. We started with some delicious cocktails- as one does on a last night in town- and I discovered the pleasures of White Linnet which was the base of The Gaston 76 (White Linnet, cucumber, and tarragon). I then delved into a roasted beet salad accented with greens a walnut and black pepper purée. For our main dishes I enjoyed a Portuguese fish stew which owed its excellence to the inclusion of delicious clams thqt I couldnùt get enough of. 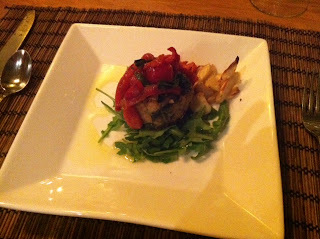 My sister took advantage of an opportunity to eat ethical meat and ordered the Hangar Steak with bread pudding. The high note of our meal came at the end when the cherry on top was not a cherry at all, but an unparalleled salt brittle atop a pumpkin crisp with molasses ice cream. Hats off to you, pastry chef! After stuffing my face with cupcakes all week (more wedding business/pleasure tasting), this light yet filling fall dessert hit the spot! 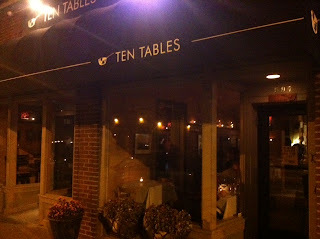 Ten Tables also has an enticing bar menu and the vibe on that side of the resto is just as cosy- I would highly recommend pulling up a bar stool for a wine pairing and enjoying the ambience that this neighborhood restaurant has created- it’s enough to make you want to become a local! And so my Northeast adventure ended, with plenty of new addresses, memories, and the promise of oysters left unturned and more of the unexpectedly rich bounty of the Boston area.